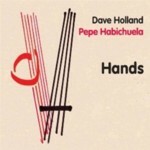 It's been five years since the last studio record by Dave Holland's quintet. 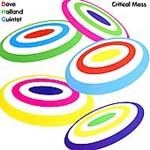 But between touring on its own and as the core of Holland's big band, which was responsible for the outstanding Overtime (Dare2, 2005), the unit shows no sign of slowing down. Critical Mass proves that when the chemistry is right, even longstanding bands can continue to improve by introducing new elements, without forgetting what made them great in the first place. The quintet has been together for close to a decade with only two changes. 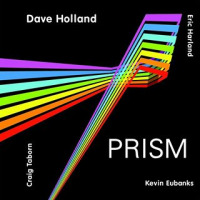 Saxophonist Chris Potter, who replaced Steve Wilson after Points of View (ECM, 1998), quickly evolved a virtually telepathic link with trombonist Robin Eubanks that has been one of the quintet's signatures. Despite the concern about drummer Billy Kilson leaving the group over two years ago, newcomer Nate Smith has already proven that while his overall approach is lighter, he's equally capable. Critical Mass is his first recording with the group, and there's been no loss of chemistry or distinct identity. Always a democratic leader, Holland has once again encouraged everyone to contribute compositionally. The leader wrote half of the album's eight tunes, the other players one tune apiece. The group's sound has always been defined by its unique instrumentation: there isn't a sound like it anywhere else. Steve Nelson's vibes and marimba provide a chordal foundation for a trombone/saxophone front line. 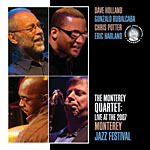 But even a unique textural conception can grow tiring after a number of years, and it's to these musicians' credit that this quintet remains as vital as ever. 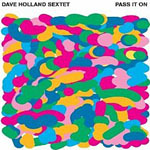 Holland's "The Eyes Have It opens the disc on a familiar note; the bassist and drummer's inescapable groove makes even the most complicated bar shifts feel natural. Potter gets better with each passing year, employing the perfect combination of melodic invention and passionate energy. 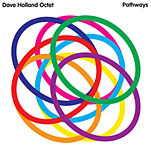 But it's after Holland's solo, where Potter empathically solos in tandem with an equally intuitive Eubanks, that we're reminded of this group's real magic. 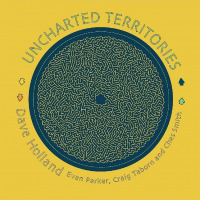 Holland revisits the Middle Eastern vibe of Points of View's "Bedouin Trail, but "Secret Garden feels more authentic, the result of Smith's rhythmic yet textural approach, while Eubanks' "Full Circle proves that it's possible to swing in any time signature. But the real surprise is saved for last. Nelson's own records have been decidedly mainstream efforts. On "Amator Silenti he's written an episodic composition that goes from a rubato tone poem to a lyrical ballad to angular free play, and that's something new for the quintet. After building to a fever pitch, it ultimately returns to its more melodic beginning. Proof that it's possible to retain one's identity while breaking new ground, Critical Mass continues a streak of winning records for Holland that shows no sign of letting up. Track Listing: The Eyes Have It; Easy Did It; Vicissitudes; The Leak; Secret Garden; Lucky Seven; Full Circle; Amator Silenti. 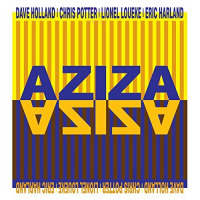 Personnel: Chris Potter: tenor and soprano saxophones; Robin Eubanks: trombone; Steve Nelson: vibraphone, marimba, tambourine; Nate Smith: drums; Dave Holland: bass.